Ulster Council president Martin McAviney will mediate in any disputes over player availability to college teams in next month's McKenna Cup. The series has been hit by several by controversies over access to county players who are also involved with university teams. "I will be available to get involved as mediator," McAviney said during the official launch of the competition. "But there's no point in me getting involved unless co-operation is there." The Ulster Council president added:"We want to have the co-operation which we had last year, and I would ask for that to continue on." Three years ago, Queen's University withdrew from the McKenna Cup as a result of claims made on players by county managers. St Mary's and Ulster University have also threatened to opt out in recent seasons, frustrated by unavailability of key players. Since the college sides became involved in the Dr McKenna Cup, they have been given first call on players, but that guideline has not been adhered to by several of the counties. 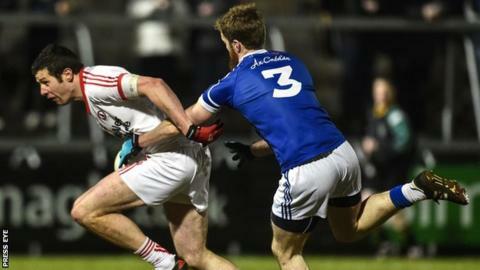 Tyrone, who will be aiming for a fifth successive title when the 2016 series gets under way on 3 January, have been drawn in the same group as Derry, Antrim and Queen's. The competition will be run off within the month of January.